– General Motors plans to idle production at its Bowling Green plant for six months to prepare for the next generation Corvette, according to a report by the Associated Press. Production at the plant will stop in February to allow for retooling and renovating the body shop and retraining employees, with production on the new Corvette expected to begin in the third quarter of 2013. Retooling while continuing production in Bowling Green was not feasible because the 2014 Corvette will include only two parts that are used in the current model. GM is investing $131 million in the plant for the production of the new Corvette and has added 150 news jobs so far, bringing staff levels to approximately 700. – RC Components, a Bowling Green manufacturer of motorcycle wheels, is investing $836,000 to expand its operations. The company, which began in 1989 and has grown to supply more than 10,000 dealers in 36 nations, will add 16 jobs to its existing 56-member workforce as a result of the expansion. – Inside Connect Cable, a privately owned broadband cable and communications company that has served the Bullitt County area for nearly a decade, has expanded into Muhlenberg and McLean counties. The company recently completed an expansion of its fiber network into the communities of Bremen, Sacramento and Central City, areas that have been underserved by traditional Internet service providers and cable operators. ICC has also opened an office in Bremen to handle day-to-day operations in the Muhlenberg/McLean area. – Westlake Chemical Corp. has announced two major projects at its Calvert City plants that represent an investment of more than $210 million. The Houston-based company plans to convert the feedstock for its Calvert City ethylene plant from propane to ethane and will increase ethylene capacity from 450 million pounds per year to 630 pounds per year. The company is also expanding its PVC plant in Calvert City and will add approximately 200 million pounds per year of capacity to the existing 1,100 million pounds of annual capacity. Westlake’s products are used to produce a broad range of everyday items such as packaging, plastic wrap, tires, PVC pipes, windows and fencing. The company employs approximately 400 people in Calvert City. – Steve Thompson, former president of Brown-Forman Corp., has opened a distillery in a former ice cream warehouse in Crestwood. In addition to producing his own brand of bourbon, Thompson plans to open up the Kentucky Co-Operative Distillery to others who want to try their hand at creating their own spirits. He plans to lease the stills to interested parties, who can also use the distillery to barrel, age and bottle their products. – In an effort to address financial issues that have left it with some $19 million of debt, the Westlake Regional Hospital Board of Trustees has voted to cut 24 jobs and reduce employee wages and benefits, according to The Adair Progress. With a plan from the hospital in place to stem the financial losses, the Adair County Fiscal Court has agreed to loan the hospital $1.5 million to help keep it open. Earlier this year, Westlake was in negotiations to become part of Tennessee-based LifePoint Hospitals Inc., but the transaction was called off in late July after LifePoint reduced their offer to a point that was not feasible for Westlake. – Covington-based chemical company Ashland Inc. has opened a new Care Specialties Technical Center in Mumbai, India, that will focus on the research and development work needed to bring new personal and home innovations to market in India and Southeast Asia. The center will also serve as headquarters for key account managers in India and as a base of operations for distributor training and technical seminars. – The Red Wing Shoe Co. has confirmed that it will permanently close its Danville plant at the end of the year, eliminating 68 jobs. The Minnesota-based company had originally planned to close the Danville facility in 2009 and move production to its Potosi, Mo., plant, but an increase in business resulted in the company reversing the decision. However, company officials said that since then, an expansion at the Missouri plant and workforce expansions both there and at the Red Wing, Minn., plant make it more feasible to close the smaller, older Danville plant and move production to the larger facilities. – SpanTech, a Glasgow company that specializes in custom conveyor systems, is investing $3.8 million to expand its operations. The company plans to lease an additional 55,500 s.f. and purchase new equipment as part of the expansion. A new sortation division is also being added to support and diversify the company’s customer base in the warehouse and distribution markets. The expansion will add 25 jobs to the existing staff of 66. – The Kentucky Horse Racing Commission has approved an agreement for Saratoga Harness Racing Inc., the owner of the Saratoga Casino and Raceway in New York, to acquire 30 percent ownership of Ellis Park Race Course. The $4 million agreement provides for Saratoga to oversee all operational activities at Ellis, including the 187 recently installed instant racing machines. Ellis Park owner Ron Geary said the deal will help generate new revenue for the Henderson track, such as a new eatery based on Saratoga’s Lucky Joe’s and a large-scale bar that will feature television screens for simulcast racing. – David Brown Gear Systems Ltd., a global industrial gearing solutions and services company, has opened a service, repair and assembly facility in Inez. The company, which was founded in England in 1860 and now has six manufacturing facilities on five continents, has hired eight people for the Kentucky facility and plans to triple that within the next five years through a continued investment of up to $4.7 million. The Inez facility will assemble large gearboxes, refurbish and rebuild manufactured components, and provide on-site technical services. Town Branch Distillery, part of Alltech’s Lexington Brewing and Distilling Company, downtown Lexington, Kentucky. 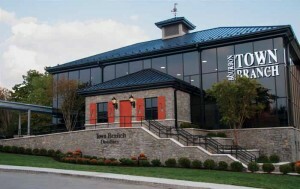 – Alltech has opened a $9.2 million distillery in downtown Lexington, adjacent to the company’s Lexington Brewing Co. Town Branch Distillery – which will produce Alltech’s Town Branch Bourbon, Pearse Lyons Reserve malt whiskey and the company’s bourbon-infused coffee drink, Bluegrass Sundown – is the first new distillery in Lexington in more than 100 years. – Renewable chemicals company Allylix Inc. is investing more than $1.6 million to add 3,700 s.f. of new laboratory space at its Coldstream Research Campus location. Allylix’s platform technology allows it to engineer yeast strains that, through proprietary fermentation processes, produce a wide range of specialty chemical products used for cosmetics, fragrances, flavors, food ingredients and biofuel. – As part of its strategy to focus on its core markets of Lexington and Louisville, Lexington-based American Founders Bank is selling its Shelbyville branch to MainSource Bank, an Indiana bank that operates 76 locations throughout Indiana, Illinois, Kentucky and Ohio. The company is also consolidating its Lexington locations and has closed one branch, leaving it with three Lexington locations.  – Keeneland has withdrawn from the Kentucky Equine Education Project, a statewide lobbying group that supports bringing expanded gambling to the commonwealth. Keeneland cited “cost and resource allocation” considerations as the reason behind the withdrawal, but said it would continue to support KEEP’s efforts. – An increase of over 8,000 young adults with bachelor’s degrees or higher between 2000 and 2010 has propelled Louisville into first place in the rate of improvement among peer cities such as Cincinnati, Nashville and Indianapolis, according to a recent report by the Greater Louisville Project. The 2012 Competitive City study reports that Louisville has added 7,200 young adults since 2000, providing evidence that the 20-year brain drain may be reversing and becoming a “brain gain,” according to Greater Louisville Inc. Louisville also was ranked No. 1 among cities for its ability to attract and retain young people with college degrees, outpacing cities like Portland (No. 2), Seattle (No. 3), Dallas-Fort Worth (No. 4) and Austin (No. 8), according to a recent study by Portland State University. – Regus, a Luxembourg-based company that specializes in flexible workplaces, has opened its second Louisville location to meet what the company called “significant demand.” The company’s newest business center, located on the east end of Louisville’s business district, provides entrepreneurs and small- to medium-sized businesses with a range of options, ranging from fully equipped offices to virtual offices, meeting rooms and business lounges. Regus’ first Louisville site – located on Fourth Street in downtown Louisville – opened this past May. – The James Graham Brown Cancer Center has opened Louisville CyberKnife, a new cancer treatment center that uses robotic technology to treat patients with inoperable or surgically complex tumors. A $6 million investment, Louisville CyberKnife was developed as a joint venture between the James Graham Brown Cancer Center and US Radiosurgery and is first in the Kentuckiana region to offer the technology. 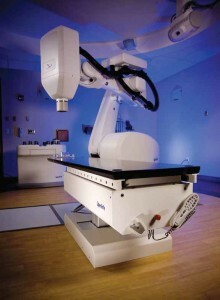 Central Baptist Hospital in Lexington is the only other location in the commonwealth to have the CyberKnife. – LG&E expects to shut down the remaining three coal units at its Cane Run Generating Station eight months earlier than originally planned. The company’ s new natural gas combined-cycle unit, which will be built on the Cane Run site, is now expected to be serving customer needs in May 2015, allowing for the early closure of the coal units. Construction on the new plant, which is being built to comply with a clean-air deadline issued by the U.S. Environmental Protection Agency, is expected to begin in the first quarter of next year. – A bill passed by the Kentucky General Assembly has extended the tax credit for Metropolitan College, a partnership between the state and the Louisville Metro Government, Jefferson Community and Technical College, the University of Louisville and UPS. The program, which provides part-time jobs and benefits at UPS to participants who attend JCTC or UofL, was originally established in 1998 to improve employee recruitment and retention at UPS’s Worldport facility in Louisville. The new legislation extends the tax credit – which had been set to expire next year – and allows UPS to recover 50 percent of tuition and related fees paid for its employees. – The National Association of Women Business Owners Louisville Foundation has partnered with Greater Louisville Inc.’s Enterprise Corp. and the University of Louisville College of Business to launch a program aimed at teaching middle and high school students how to start and run their own businesses. The Young Entrepreneurs Academy (YEA!) will give students the opportunity to launch their own business or social movement and will teach them how to write a business plan and pitch it to potential “investors,” obtain funding and legally register their businesses. – KentuckyOne Health, a nonprofit healthcare organization that is comprised of the St. Joseph Health System and Jewish Hospital and St. Mary’s Healthcare, is investing an extra $30 million in its KentuckyOne Heart and Vascular Institute over the next three years. The investment will involve the areas of outreach, collaboration, technology and programs at numerous facilities throughout the organization’s network that are part of the institute. The organization already has invested more than $100 million over the past 10 years, bringing the total investment to more than $130 million during that time. No information was released regarding any additional hiring as a result of the investment. – Advanced Cancer Therapeutics (ACT), a privately held company dedicated to bringing new anti-cancer therapies to market, has been awarded a Phase I Small Business Innovative Research grant in the amount of $158,000 by the National Cancer Institute of the National Institutes of Health to support the development of a novel therapeutic agent for brain cancer. ACT President and CEO Randall Riggs said the company will work in collaboration with Dr. Jason Chesney from the Brown Cancer Center in Louisville to explore the potential of the treatment to advance into human clinical trials. – The Peregrine Co., a Louisville-based industrial scrap metal service provider, has acquired Sparta Steel for an undisclosed price. Sparta Steel, headquartered in Sparta, Tenn., is a non-prime sheet steel company that serves a variety of industries, including recreational vehicles, appliances and other consumer products, and has customers throughout the Midwest and the South. – Public health and wellness food inspectors for Louisville Metro last month began enforcement of a new city ordinance that requires restaurants to post nutritional information on site. The new law requires any food service establishment that posts caloric and other nutritional information on its website or other communication methods to make the same information available on site. The ordinance does not require restaurants to post the information on drive-through menu boards, as long as the information is available inside the restaurant. Restaurants in violation of the ordinance have 14 days to comply and will be subjected to a $25 per day fine thereafter. – Kentucky has signed contracts with four managed care partners to provide healthcare services to approximately 175,000 Medicaid recipients in Louisville and 15 surrounding counties after the Center for Medicaid and Medicare Services advised the state earlier this year that the region could no longer operate with a single provider. The contracts with Coventry Cares, Humana, Passport and Wellcare of Kentucky are for an initial 18 months with four, one-year renewal options. The new contracts will take effect Jan. 1, 2013. – NitraCore, a company that manufactures and distributes wetsuits, water sports insulation gear and high-performance rubber products, is investing $260,000 to establish a headquarters and manufacturing operation in Lyon County. NitraCore is a new company that has been formed through the consolidation of several California-based companies and product lines. The new company will create 10 local jobs. – The Kentucky Transportation Cabinet has awarded a $650,000 grant to fund an engineering study that will determine whether the Purple People Bridge that connects Newport and Cincinnati can support a proposed $100 million entertainment complex. The proposed project would include a boutique hotel, a conference and banquet center, restaurants and other attractions. If the project moves forward, it could potentially create more than 1,000 jobs. The Purple People Bridge is a former vehicular and railroad bridge that was converted to a pedestrian span in 2003. – The Center for Rural Development, a nonprofit organization that works to stimulate economic development, is expanding its 42-county primary service area in southern and eastern Kentucky to include Boyd, Carter and Elliott counties. The three counties were recently added to the Fifth Congressional District, which is served by U.S. Congressman Harold “Hal” Rogers, who, along with other area leaders, was instrumental in establishing the Somerset-based nonprofit organization in 1996. – St. Catharine College has launched a new program that merges science with humanities to foster sustainable agriculture. The Berry Farming and Ecological Agrarianism Program in the newly formed Department of Earth Studies and will include four areas of study: sustainable crop production, environmental sciences, the humanities and rural leadership. The program will equip graduates for careers in sustainable farming and marketing, scientific research, community leadership and environmental arts. – Financial services company Foundation Financial Group has opened its first Kentucky location in Taylor Mill, where it will employ a staff of eight. The Atlanta-based company, which has offices in 11 states, will initially offer mortgage services at the Kenton County office and plans to add insurance and other financial services as the branch grows. – Valley Truck Equipment LLC is investing $678,000 to expand its existing facility in Daviess County. The company sells, installs and repairs a variety of equipment and accessories for vehicles, including trailers, van bodies, dump bodies, cranes, power inverters, flatbeds, tarp systems, hoists, ladder racks and more. The expansion will add 12 jobs to the existing six-member staff.